We have a delightful collection of Dickens Christmas Girls and Ladies carrying beautiful fur muffs below. We have Four lovely vintage postcards. 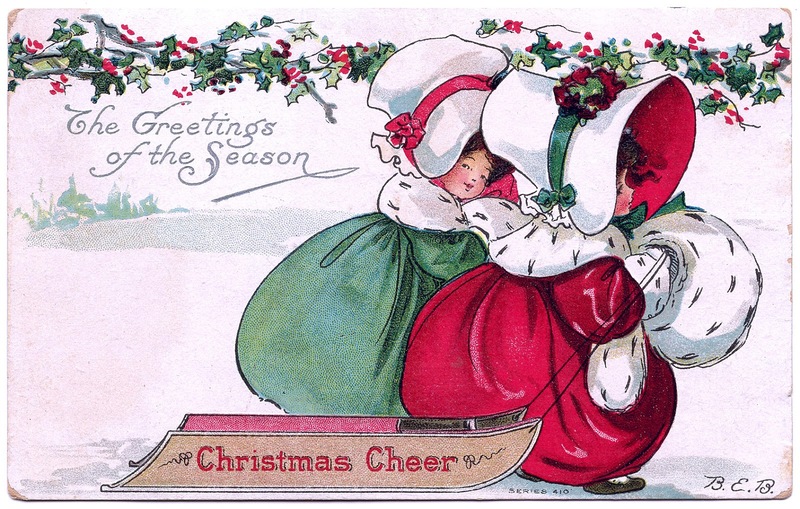 Also included are a clip art Christmas image, a Christmas bookmark, and a magnificent illustration by Kate Greenaway. You could use these as Holiday Gift Tags or in your Christmas Craft or Collage Projects! This charming Girl is a brand new Image to this site! 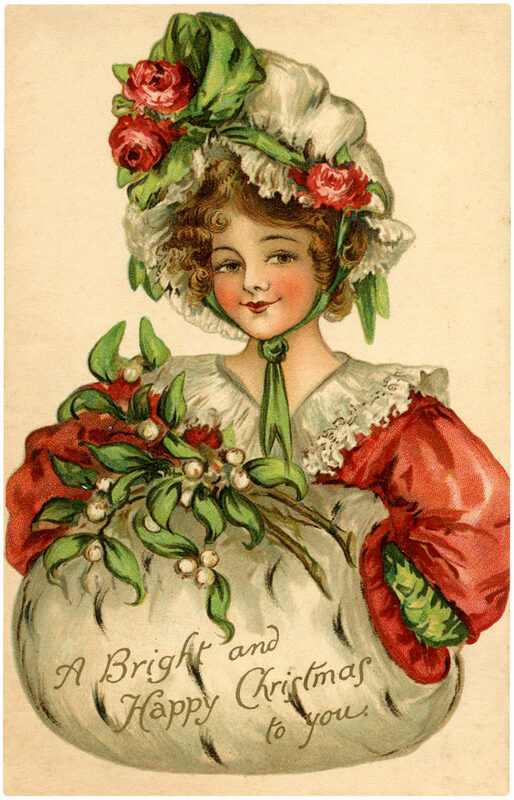 This Circa 1909 (postmark date) postcard shows a pretty lady all dressed in Red and Green. 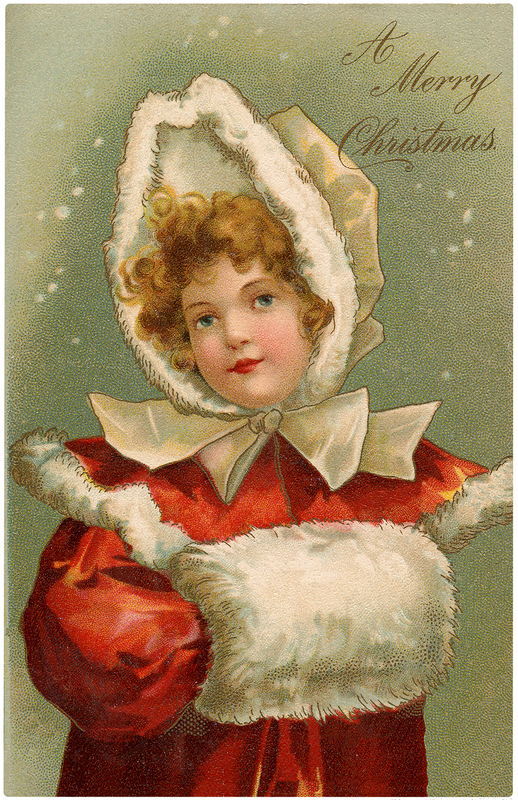 She’s wearing a large white fur muff that is topped with several Mistletoe branches. She has a sort of mischievous grin on her face! 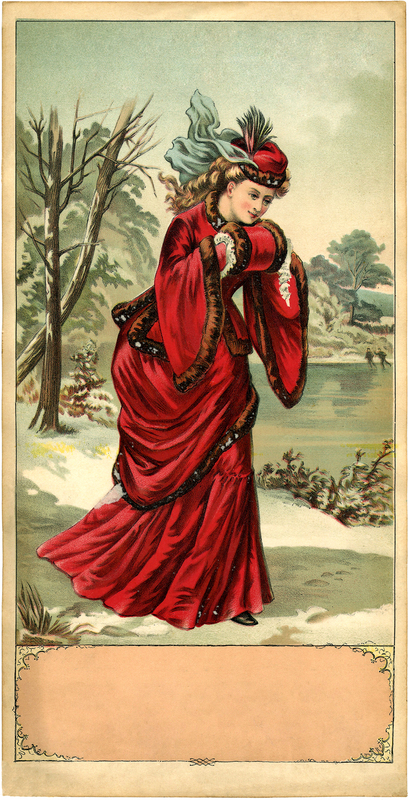 The first of our Dickens Christmas Ladies is a stunning Victorian Winter Lady Image!! This is an old Advertising piece. The image shows a woman in a beautiful bright red fur trimmed dress and coat. She’s also wearing a matching hat and fur trimmed muff. So fancy! She taking a stroll along a frozen pond on a Winter day. You can see a pair of skaters in the background. I love that there is a little blank area at the bottom where you can write a message. 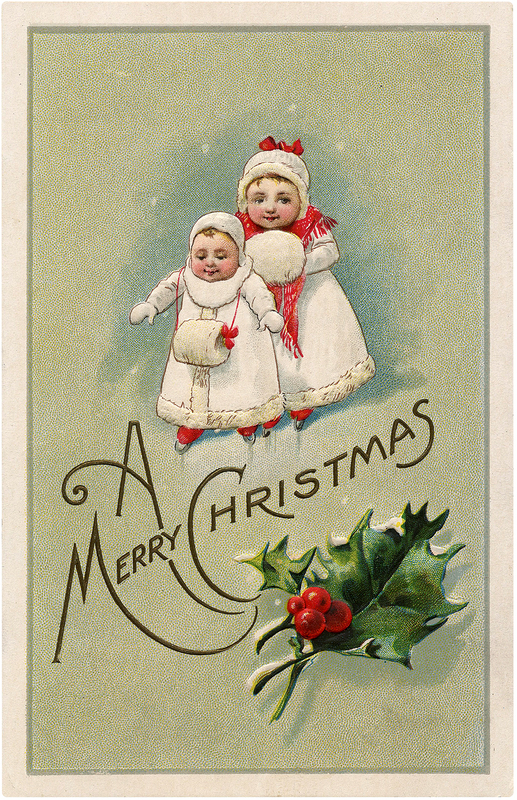 I just love this Vintage Little Girls in White Coats Christmas Postcard! This image features two tiny children wearing gorgeous bell shaped white coats and muffs with red shoes and accents. The pale blue background has a hint of snow. “A Merry Christmas” is written in beautiful lettering, and a tiny sprig of holly with berries completes the scene. 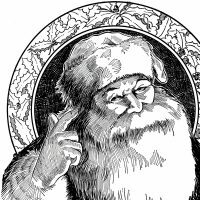 Here’s a charming Vintage Christmas Clip Art Image! This one shows two young Dickens Christmas ladies wearing red and green cloaks. They have large white bonnets and large fur muffs. They are pulling a wooden sled that has “Christmas Cheer” painted on the side. Sweet! This is a charming Free Vintage Winter Bookmark Download! This tiny Dickens Christmas Girl is an old fashioned Paper Bookmark showing a snowy Winter Scene. The sweet little Girl has an enormous white fur muff! I believe it is ermine. I love the aqua floral pretty frame on this one! The last of our Dickens Christmas Ladies is extra special. I’m so excited to share this Kate Greenaway Image with you guys and especially to share the story behind this one! 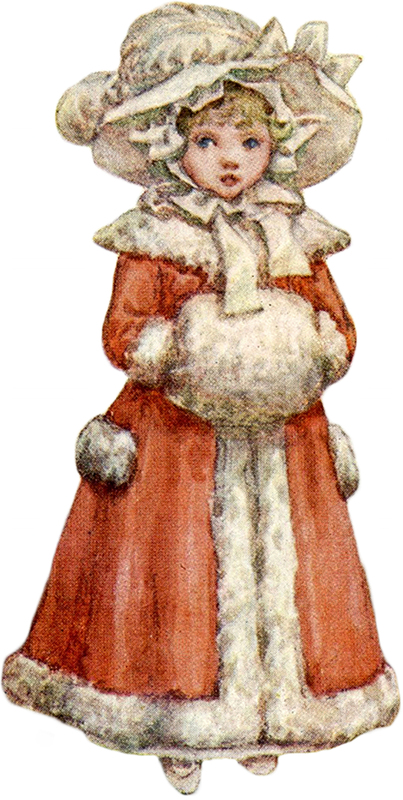 Shown above is a lovely illustration of a little Girl all dressed for Winter, or perhaps Christmas, with her Red Coat and White Fur Muff! This little image was created by famous artist Kate Greenaway. It was on an invitation for an exhibition of her Water Colors in 1902. This was found inside a book that belonged to a woman named Lady Victoria Herbert. I did some research and found out that Lady Victoria actually lived in Highclere Castle, which is where Downton Abbey was filmed!! How cool is that? I hope you enjoyed this curated collection of vintage Dickens Christmas Ladies images. You might also like our Beautiful Angel Photos HERE! Beautiful! I used to have one of those muffs when I was in elementary school. Thank you so much!! Another image that will be fun to use. Thanks, Karen. Oh yea! Have fun Sue and thank you! Thank you! 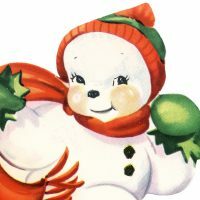 I love vintage Christmas card images. Even if I don’t use them I now have them to admire. I do hope to use them for family or friends though.